Since I started watching makeup tutorials on youtube, I always got very frustrated when all these beauty gurus were telling you to buy products that here in Italy I just couldn’t get a hold of. 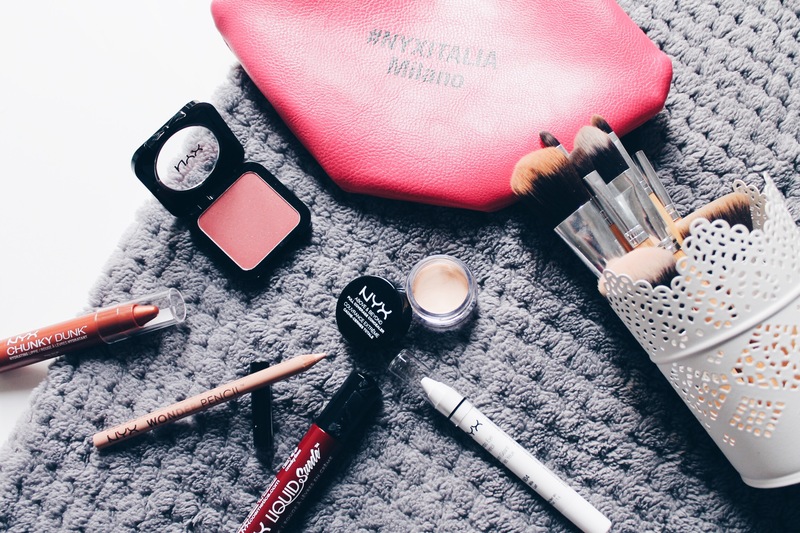 NYX is one of those brands that are very difficult to find in Italy. When I moved to Milan, I finally thought ‘yes! There are so many beuty stores here that I’ll finally be able to fullfil my makeup obsesssion. 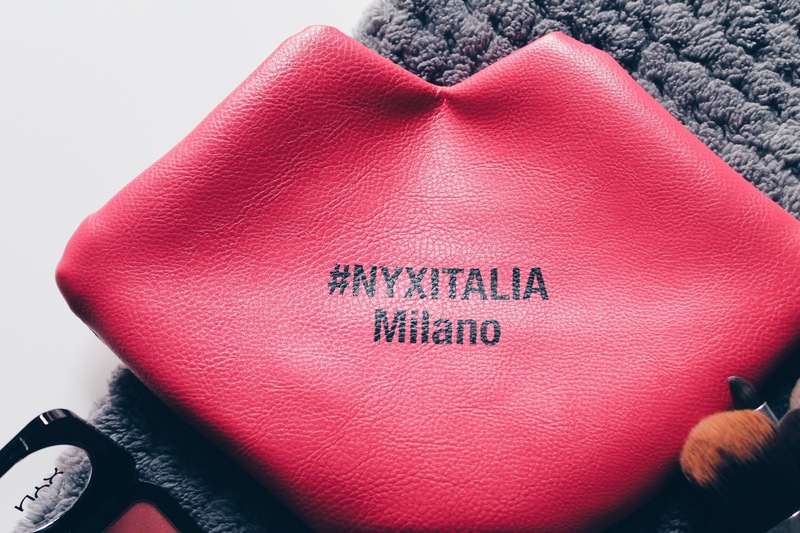 But when it came to NYX , not even shopaholic Milan could help me. Yep you heard that right. 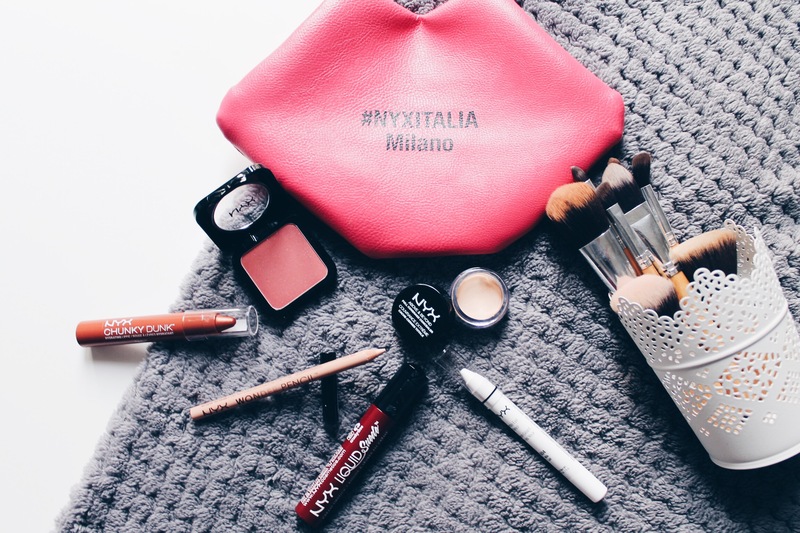 Not even in Milan there was a small little counter in the smallest little shop that sold NYX products. You can imagine my disappointment. And then the day finally came. Out of the blue, NYX announced that they were opening a brand new store dedicated only to NYX products and guess where? In Milan of course! Yep, lucky me! And so me and my good friend Francesca Startari, the amazing girl that helped me with my halloween makeup tutorials (the zebra and the crazy clown), decided to brave the cold and queu for almost an hour to get in the new store. That was the best decision we had ever made. Not only the store was gorgeous (I wish I took pictures to show you but I was to shocked to remember), they also gave us a pink phochette with three free NYX products! WHOOPWHOOP! I got a concealer, a lip balm and a concealer lip pencil. 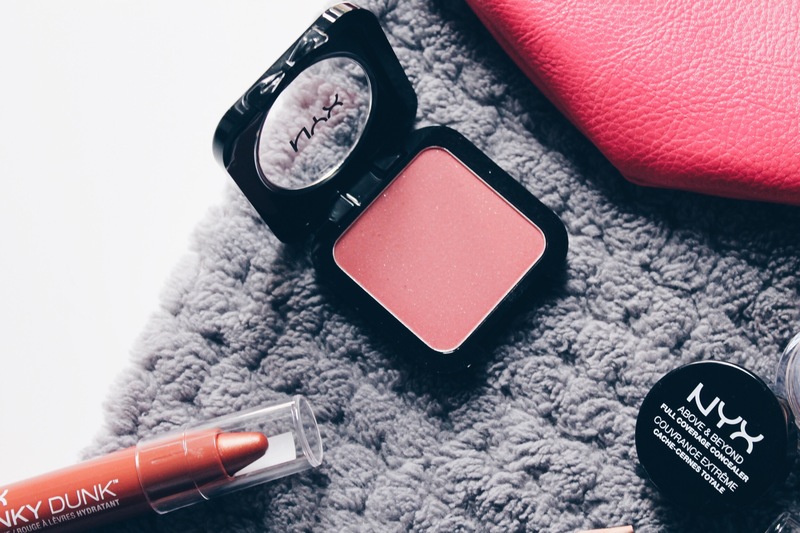 While I was there I also managed to grab (litterally I had to fight with crazy girls to get it) a red matte lipgloss that I’m absolutely obsessed with, a white jumbo pencil (if you know NYX you know their jumbo pencils are amazing) and a blush. I waited a little bit to wirte this post because I wanted to test out the products before talking to you guys about them. Now that i did, I can finally start rumbling. The first thing I saw when I opened the pochette was the concealer. 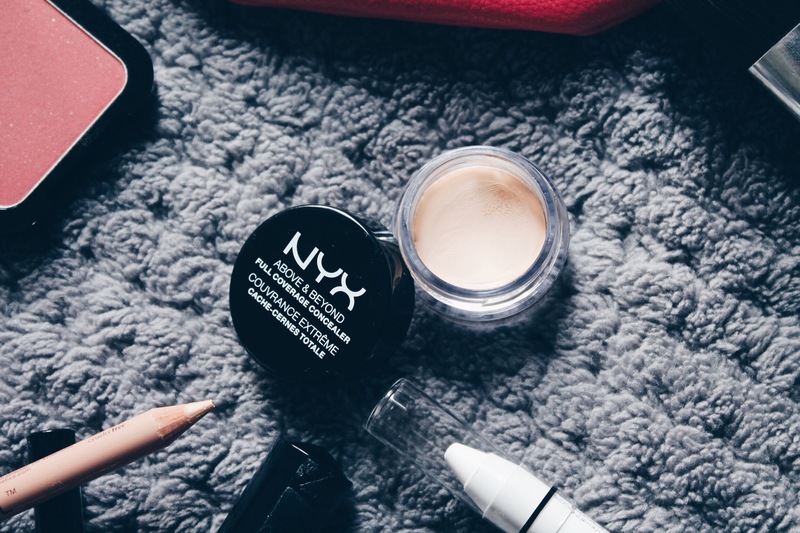 It is the NYX ABOVE AND BEYOND Full Coverage Concealer. I have it in the color CJ01 porcelain. I have to be onest it is a little bit fair for my skin, but I found that it works just as good if I apply it before the foundation. I apply a little bit on my dark circles and a little bit on my spots. Than with my trusty beauty blender I’m going to apply foundation and voila! However if you have the right color, I recommend applying it after your foundation and blend it in either with your fingers or with a beauty blender. Aside from the color, I really like this concealer. It covers everything beautifully and it lasts really well. 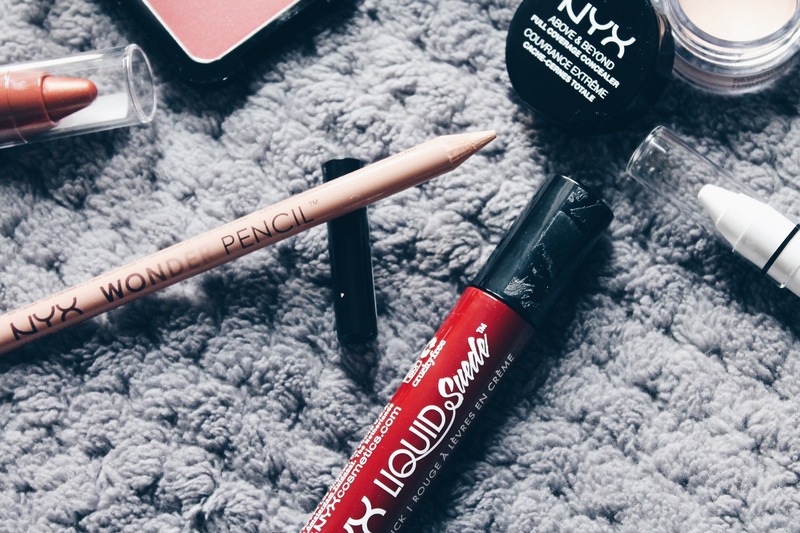 The second product in the pochette was the NYX Wonder Pencil in color WP02 medium. It is a concealer pencil which is perfect for when you put on a red or dark lipstick. I use it to contour my lips when I have very dark colors on and it works perfectly. I also sneakingly use it to line my water line to make my eyes pop a little bit more. 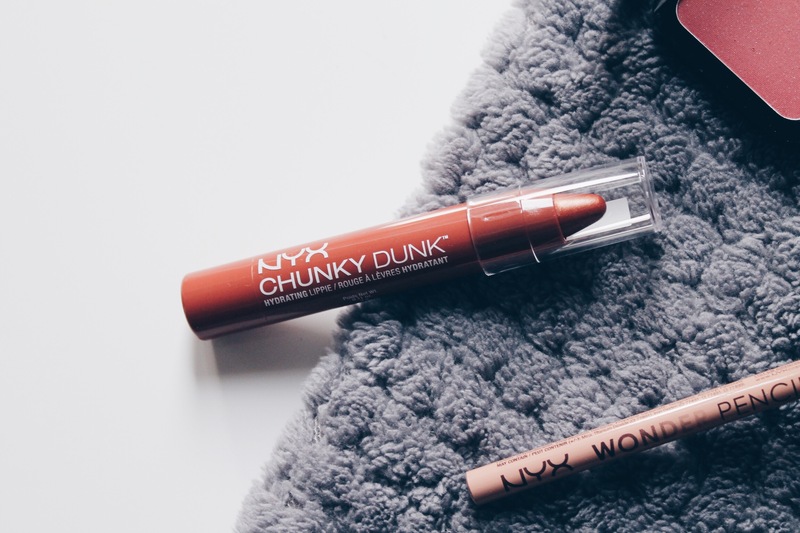 Third product in the pochette was the NYX Chuncky Dunk Hydrating Lippie in the color Happy Buddah (I mean best name ever!). I love this thing. It is so mosturizing and it is also the perfect alternative to a lip balm. I put it on when I really need to hydrate my lips but still I want to give them I nice natural color. I highly recommend this one if you have dry lips just like i do. Now on to the products that I bought. The first thing that I picked up was the NYX Liquid Suede Cream Lipstick in color cherry skies. OMG this is the best product I have ever got. When you put it on it becomes matte after a while and nothing is going to take it off your lips. Also the color is amazing. It’s a dark cherry red which is perfect for fall. I tend to keep my eyes pretty simple when I want to wear it, otherwise it gets very intense. But when I feel a little brave I also like to pull off a smokey eye with this one. Higly recommend it! 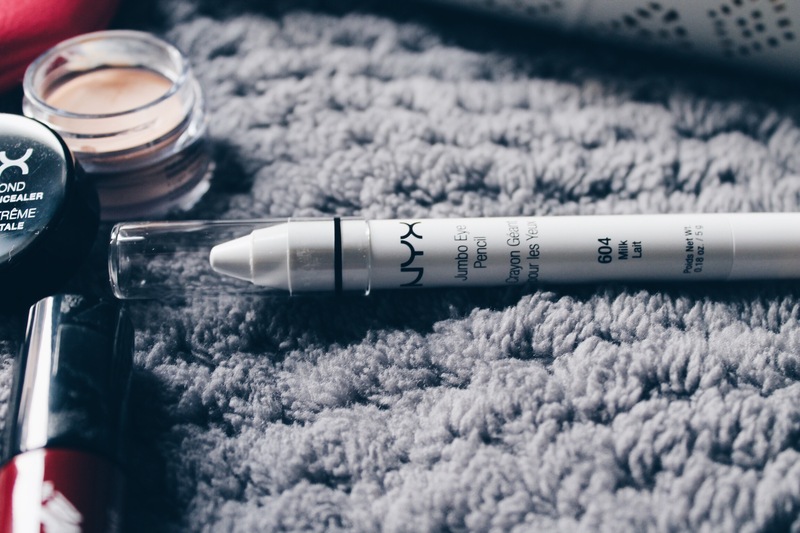 Moving on to eyes, I got the NYX Jumbo Eye Pencil in color 604 Milk. I love this pencil. I use it to line my water line and it opens up my eyes perfectly. I also put it all over my lid sometimes because if you apply dark colors ontop of it they will pop even more. Last but definetly not least, I got the NYX High Definition Blush in the color Bitten. I am completely obsessed with this. I love the color, it is a dark pink with a touch of plum it it. It lasts for sooo long and it is super pigmented. You really need just a touch with your brush and it will show perfectly. I hope you guys enjoyed my little NYX haul. Let me know if you have any of these products and what you think of them!